Today Maria created this amazing under the sea scene! 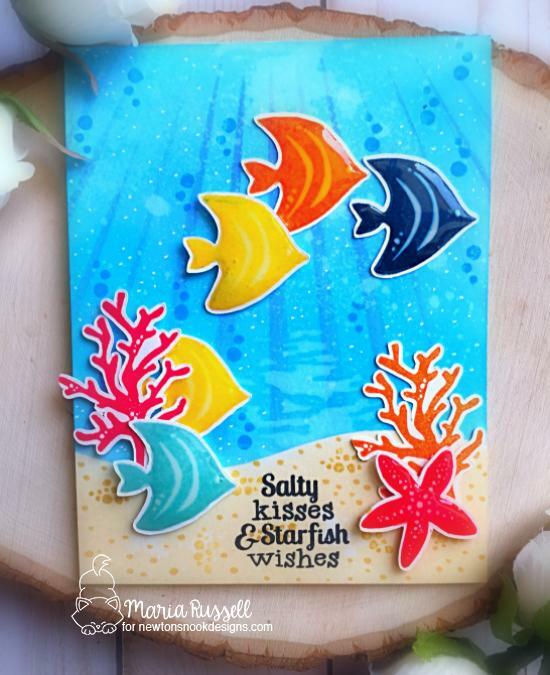 She stamped the fish and coral in several fun bright colors using our Tranquil Tides Stamp Set and cut them out using the coordinating Tranquil Tides Die Set. She added some glossy accents on the fish to make them shiny! So cool! 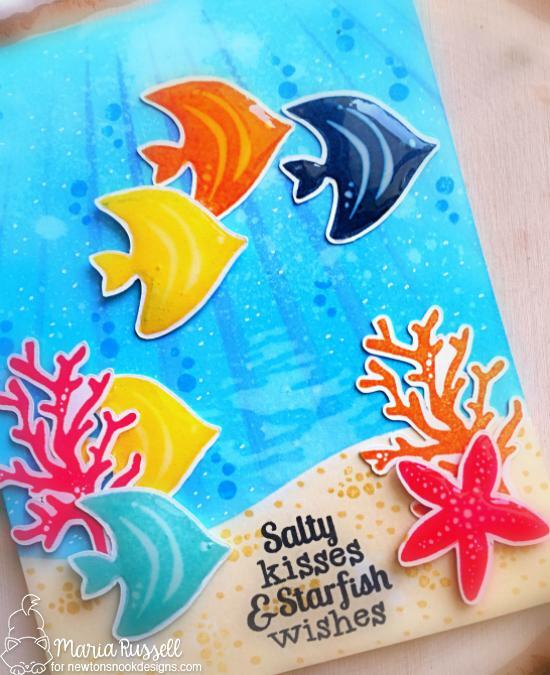 For her underwater scene she created a fun blue background with lots of added bubbles and a sandy bottom using the curvy hill from our Land Borders Die Set. Then she layered all the fish and coral on top to create the lovely scene! She also added the sentiment "Salty kisses & Starfish wishes" from the Tranquil Tides Stamp Set on the bottom. Isn't this scene so pretty?